Vermont ski & snowboard resorts are offering 2018-19 season passes at their lowest prices this spring, and some options include access for the rest of this season, too. Here are some of the season pass offerings available now and complete season pass information can be found on resort websites. Several Vermont areas are also included in multi-mountain pass offerings allowing limited or unlimited access, depending on the mountain and pass purchased. Bolton Valley Resort: Bolton Valley has a variety of season pass products, with something for everyone. Adult All Access Passes start at $529 and youth at $109 when purchased before April 2. New this year is the Five-Year Green Pass, which includes five seasons of skiing and riding at Bolton Valley for $2,000. All Bolton Valley season pass options can be found on Boltonvalley.com. 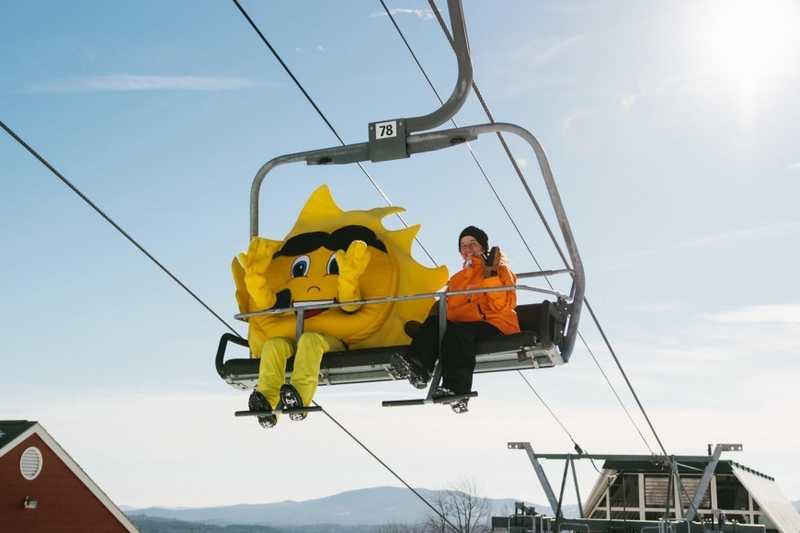 Bromley Mountain: Purchase a season pass to Bromley and get a slew of discounts. New this year, with a purchase of one full adult, junior or teen season pass, you’ll save $50 on each additional adult, teen or junior pass for your immediate family members. Purchase your pass before May 15th for the lowest pricing. All passes can be found on Bromley.com. Burke Mountain: Purchase a Burke season pass before June 4th for the best pricing. Adult passes start at $599 with an under 29 pass that starts at $419. All Burke pass products can be found on SkiBurke.com. Jay Peak Resort: Season passes are now on sale and you'll get the best rates when you purchase by May 13th. Not only are 2018/19 passes valid through the rest of the 2017/18 season, but if you purchase by the May 13th deadline you'll also get a lift ticket valid for the 2018/19 season to share with a like-minded, deserving friend. Jay Peak pass options can be found on Jaypeakresort.com. Killington Resort: If you are looking for year-round fun, purchase the new Beast 365 Year-Round Pass for $99/month, which includes unlimited lift and trail access for mountain biking, plus golf course greens fees and access to the Adventure Center and of course, unlimited winter access for the 2018/19 season. The Beast 365 pass is only available through June 14th. All Killington pass products can be found on Killington.com. Mad River Glen: Options and pricing are coming soon. Magic Mountain: 18/19 Season Passes will go on sale April 1 with Early Bird pricing that runs through May 15th. Next Season's Throwback Cards and Zero Commitment Cards will go on sale in the fall. Passes can be found on magicmtn.com. Mount Snow Resort: When you put $99 down toward your 2018/19 season pass, you can ski or ride at Mount Snow for the rest of the 2017/18 season for free. An Explorer Adult pass is $629 until April 30th. Visit MountSnow.com for all season pass products and deals. Okemo Mountain Resort: Okemo re-defines value with the Ultimate Pass starting at $1,139 for adults through April 30th. Featuring unrestricted skiing at Okemo, Mount Sunapee and Crested Butte, the Ultimate adds huge value with the addition of discounts at the Adventure Zone and Evolution Bike Park, as well as daily access at the Nordic Center, Ice House and Scenic Chairlift rides. The Ultimate pass is also eligible for lift ticket discounts at Vail Resorts. Visit Okemo.com for all season pass products. Pico Mountain: Get unlimited access to Pico Mountain all season long for 2018/19 plus unlimited free spring skiing riding now through Pico's 2017/18 closing day. Purchase before June 14, 2018 for the best price and to take advantage of the payment plan allowing you to put one-third of the cost down at time of purchase with the remaining cost in two payments due August 1 and October 1. An adult Pico season pass starts at $399. All passes can be found on Picomountain.com. Smugglers’ Notch Resort: Purchase a Smuggs season pass by May 28 for the lowest pricing of the season. An adult season pass starts as low as $309. All Smuggs season passes can be found on Smuggs.com. Stowe Mountain Resort: Stowe is now Epic. As a member of the Vail Resorts family, unlimited skiing or riding at Stowe is included with the Epic Pass. Purchase before April 15 and get six buddy passes. All details on Stowe and the Epic Pass can be found on Stowe.com. Stratton Mountain Resort: Stratton is now part of the IKON pass, which includes unlimited skiing and riding at Stratton in addition to 11 other mountains. Get details and purchase passes on Stratton.com. Sugarbush Resort: Sugarbush is now part of the IKON Pass and the Mountain Collective, in addition to offering many Sugarbush only season pass products for all ages. Be sure to purchase your Sugarbush pass by May 9 for the best price. All Sugarbush pass products can be found on Sugarbush.com. Multi-resort passes, like the Epic Pass which includes Stowe and Okemo, the new IKON Pass with Killington, Stratton and Sugarbush, plus the Mountain Collective including Sugarbush, are all available now at the best prices as well. These passes allow skiers and snowboarders the flexibility to travel while taking advantage of season pass value.